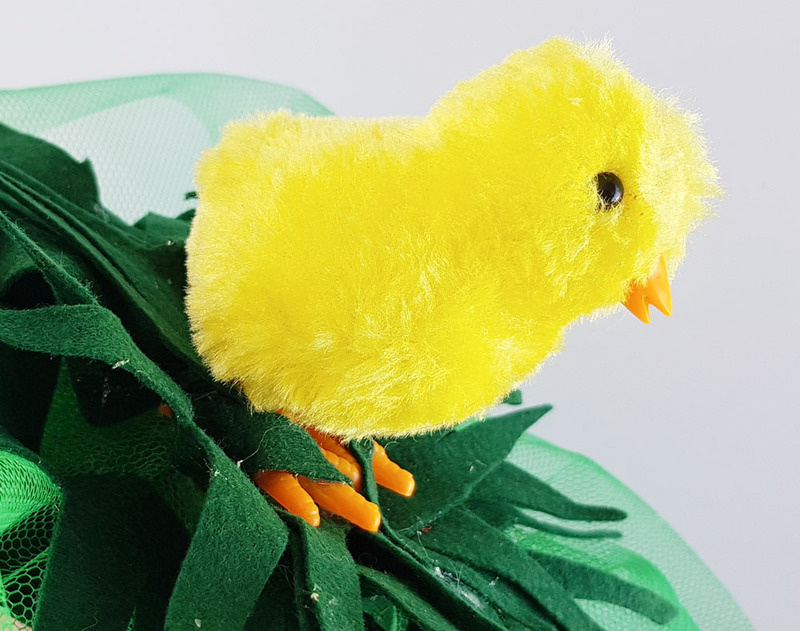 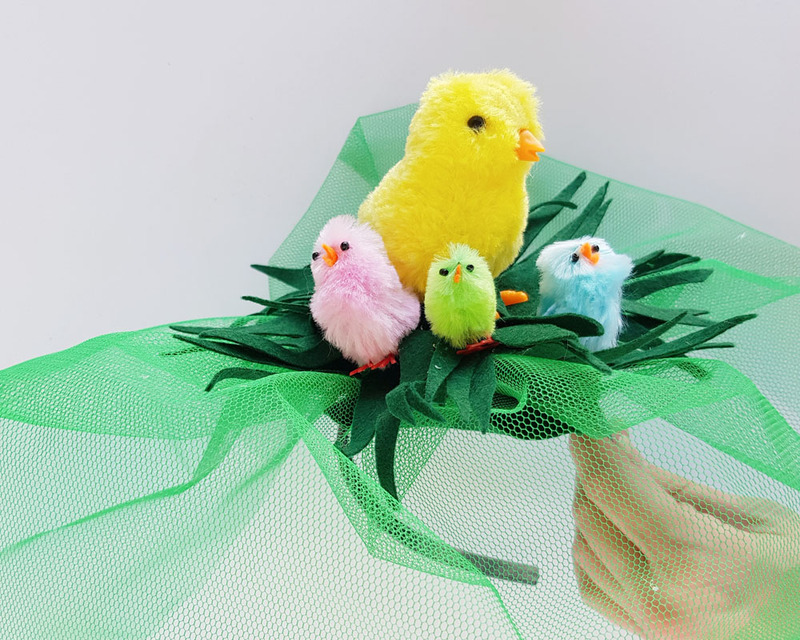 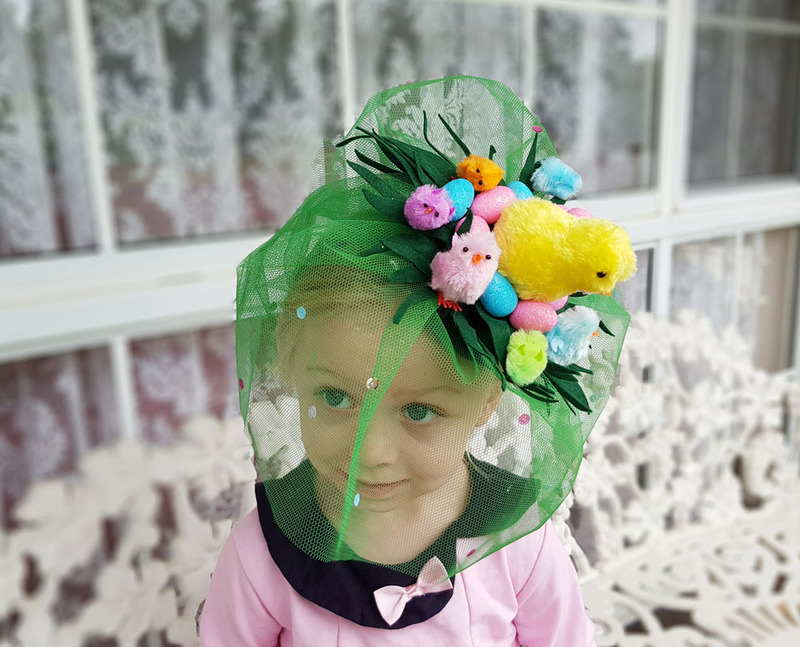 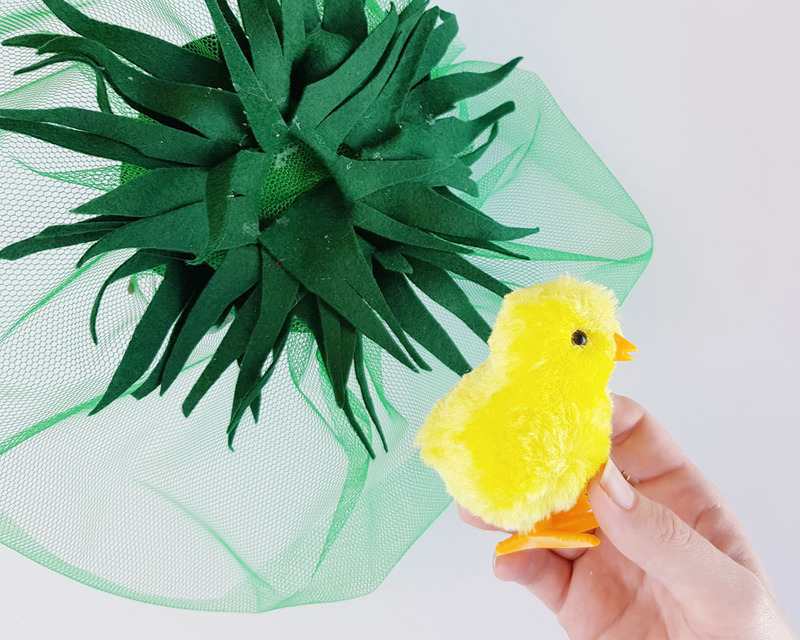 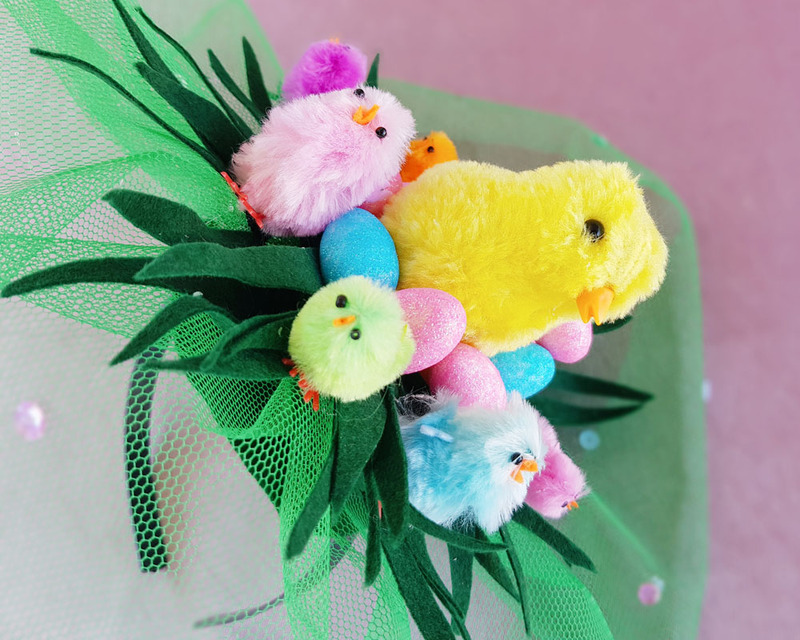 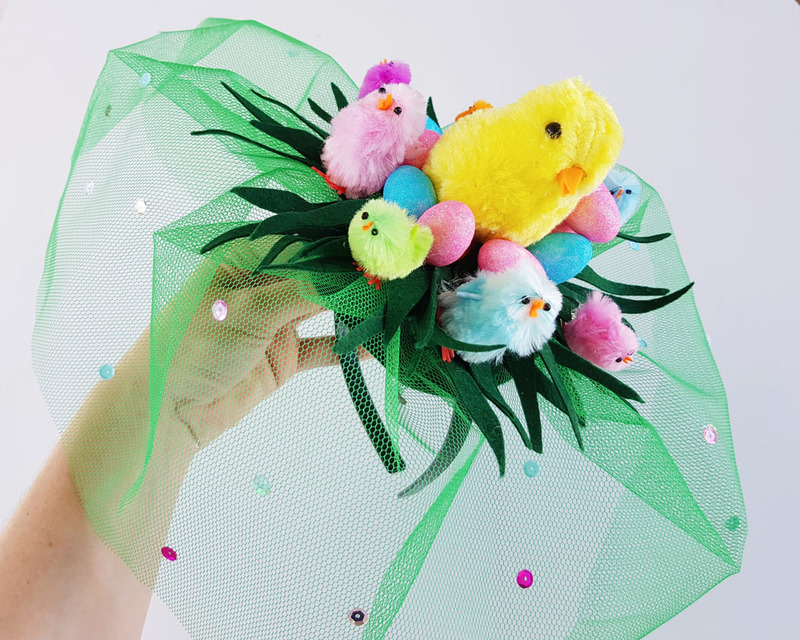 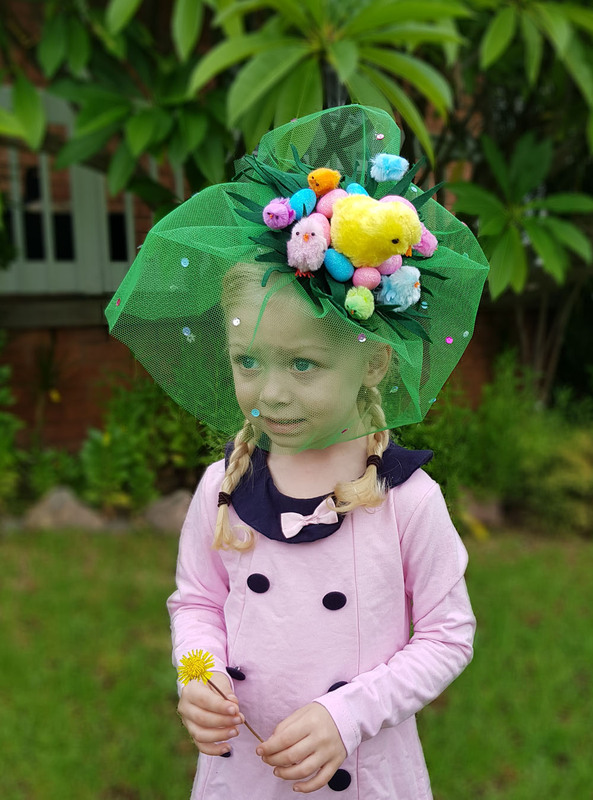 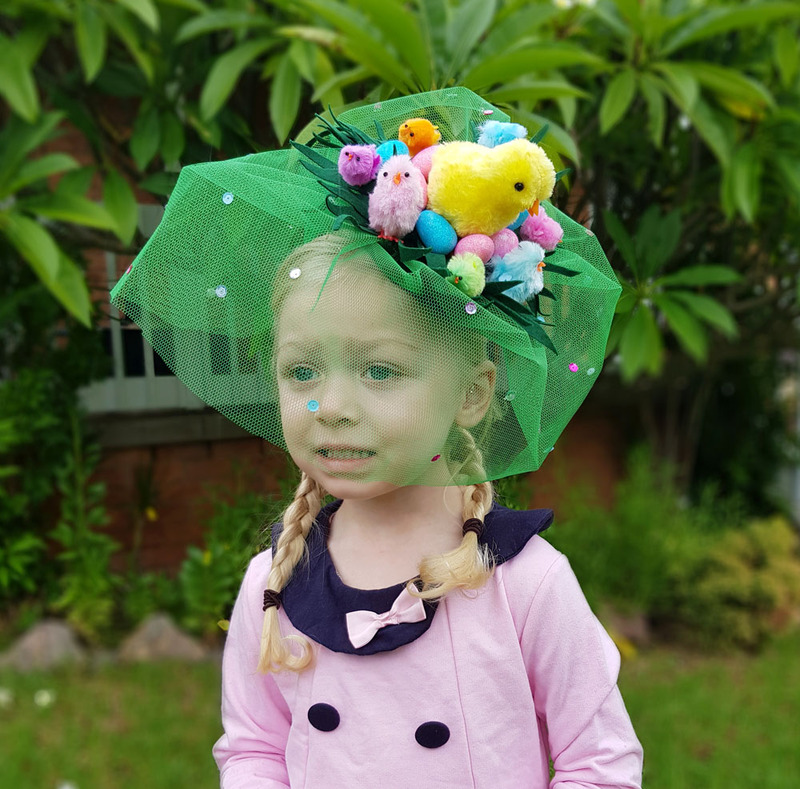 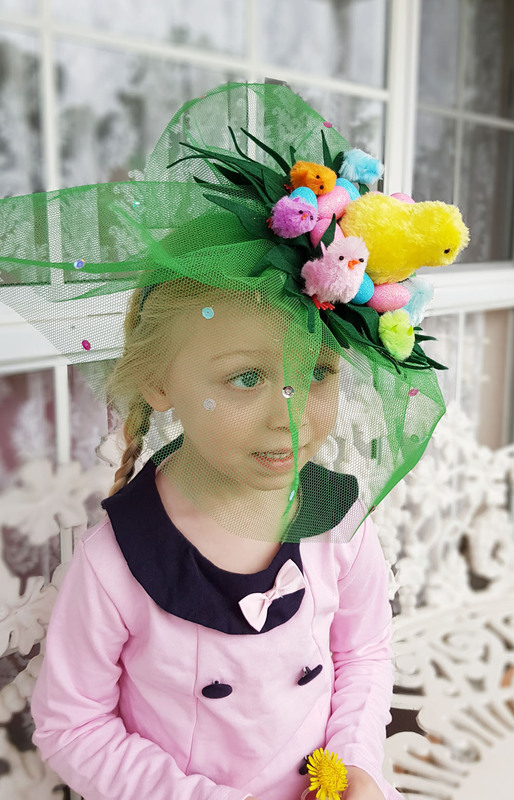 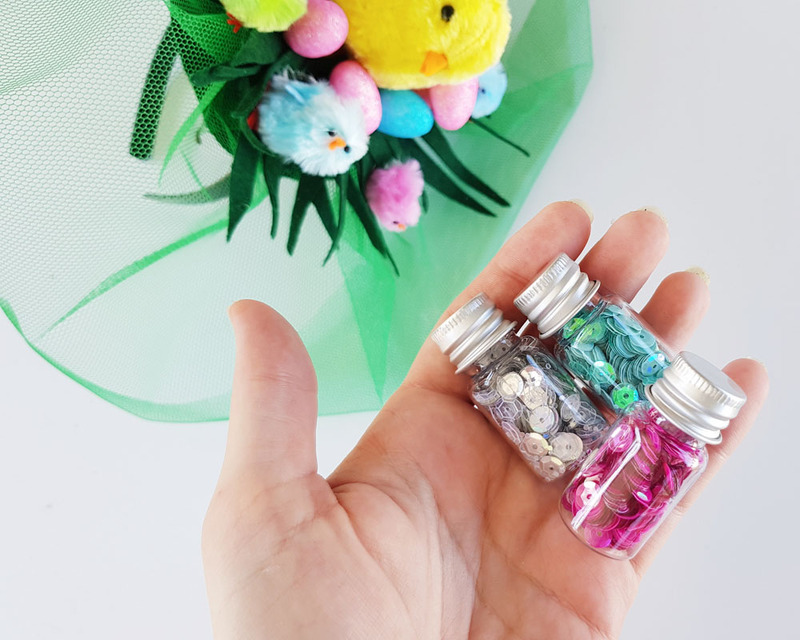 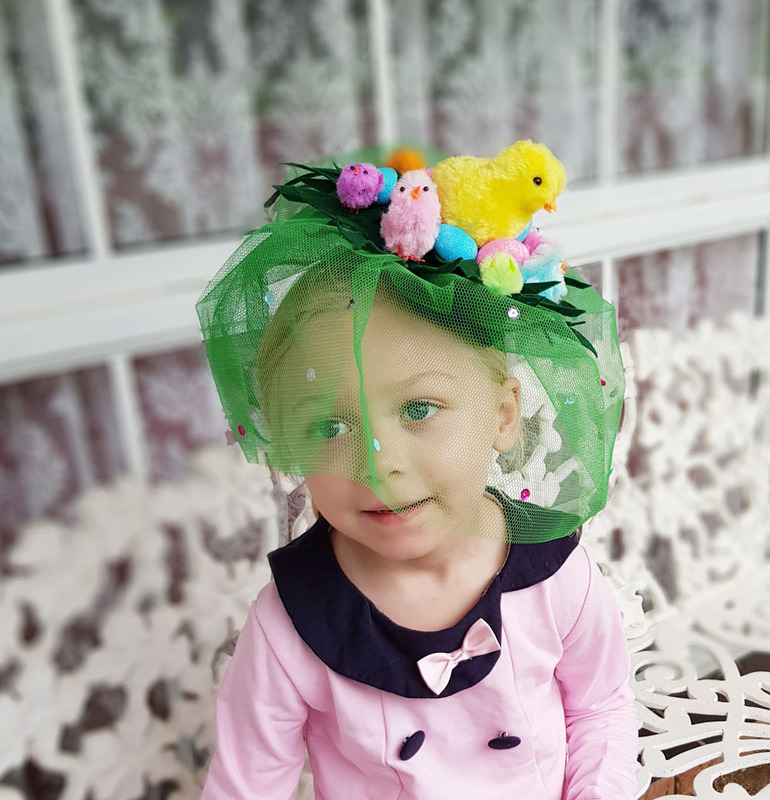 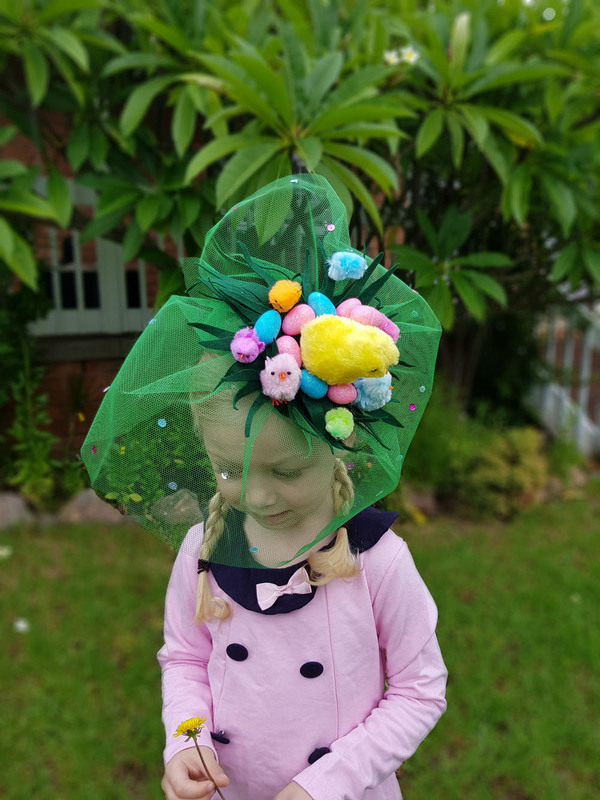 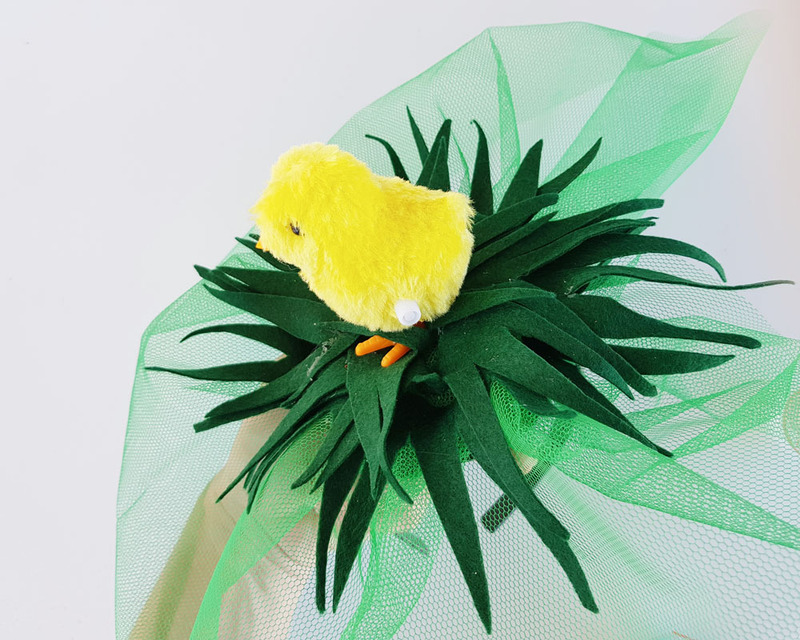 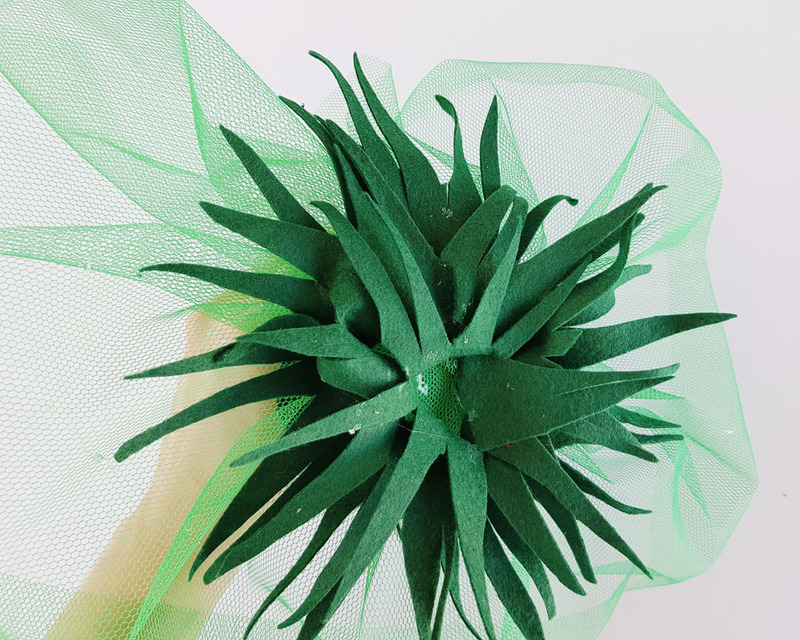 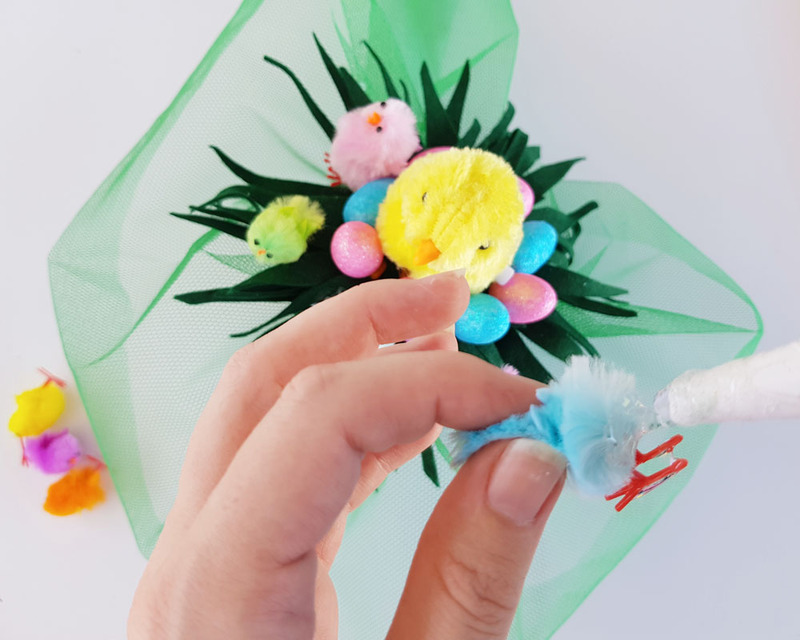 Last minute Easter Hat DIY idea that is sure to impress! 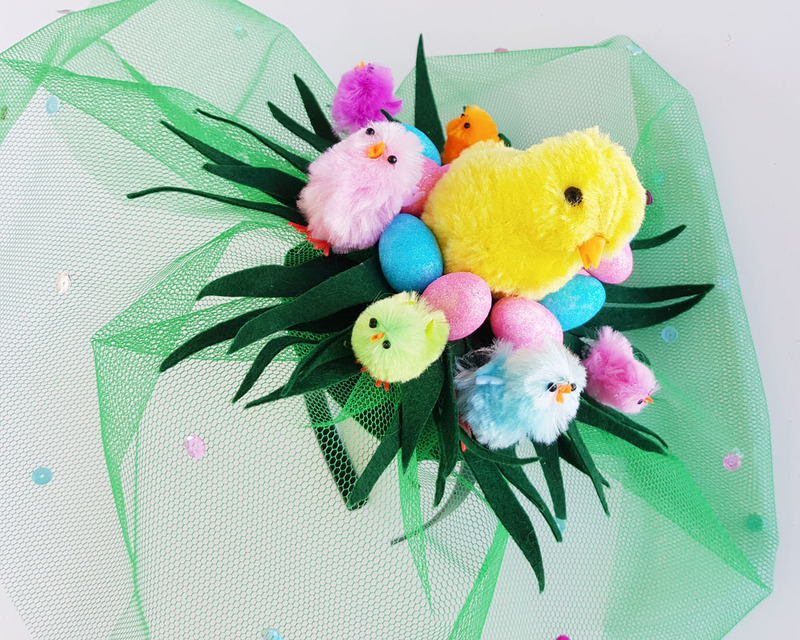 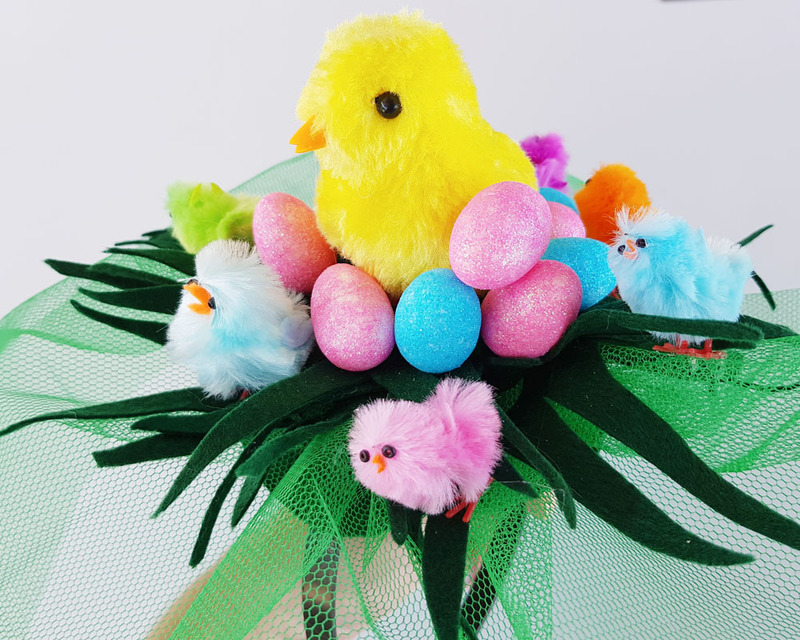 Here is an adorable chicks and egg design that you can make at home with little time. 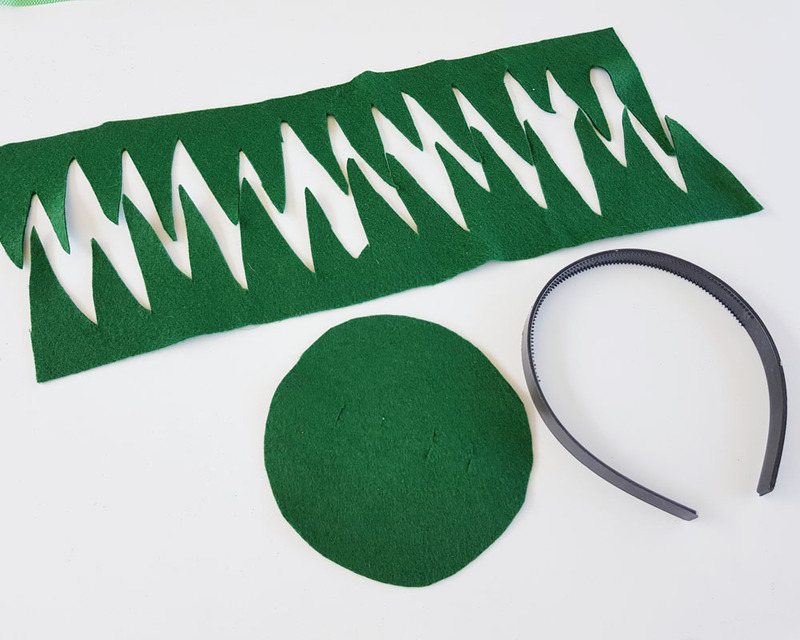 Cut a circle out of felt with 4 slits to slide headband through. 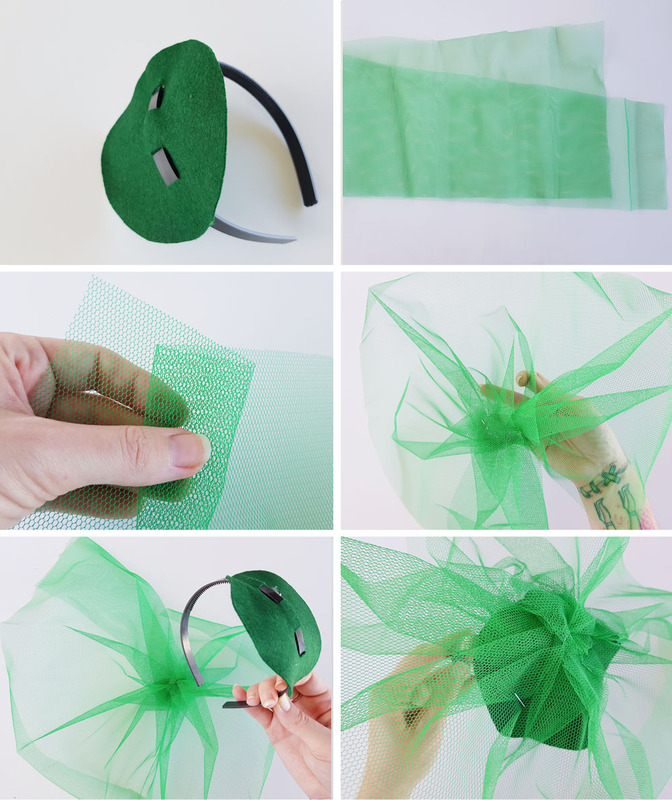 Cut your tulle net into a long strip. 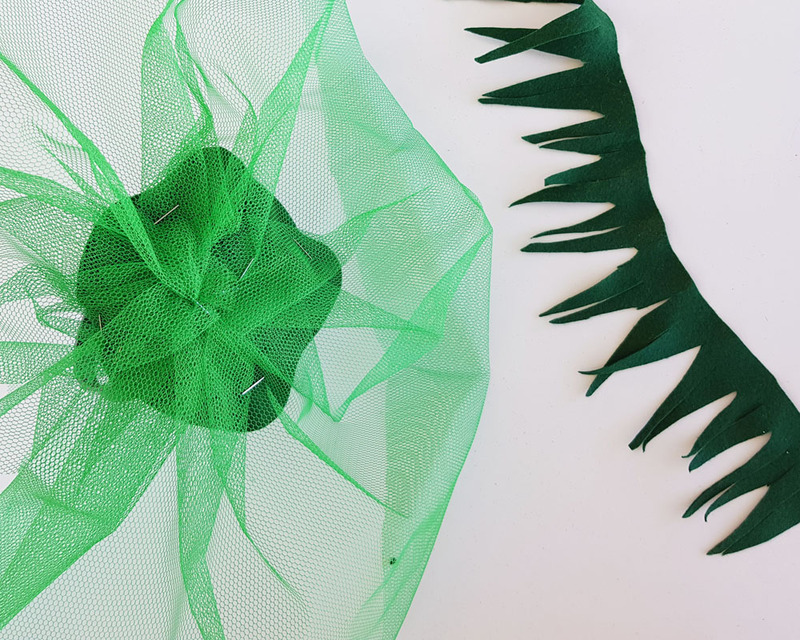 With your tulle, fold it over on one edge, in about 2 cm sections. Continue this & staple as you go. 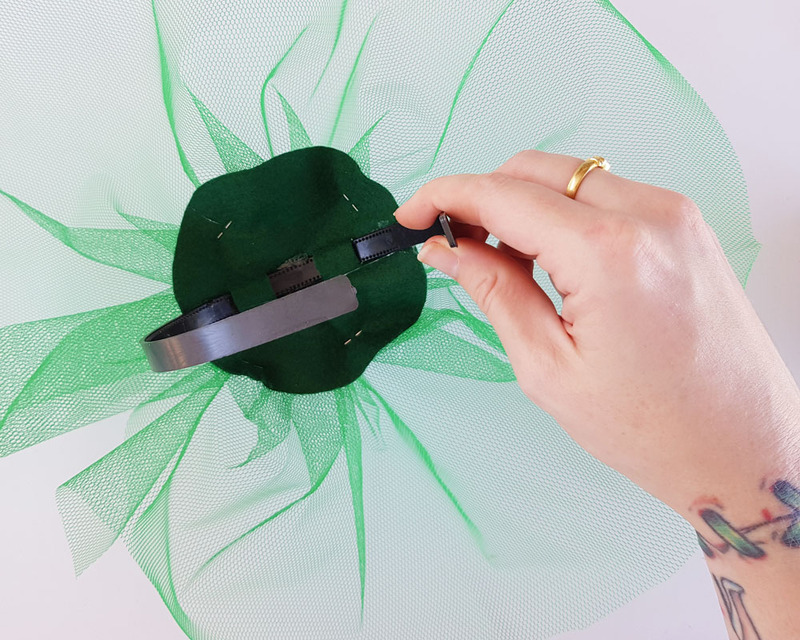 While you are folding, you need to start moving your folds to form a circle, so the tulle starts forming a bowl like circle shape. 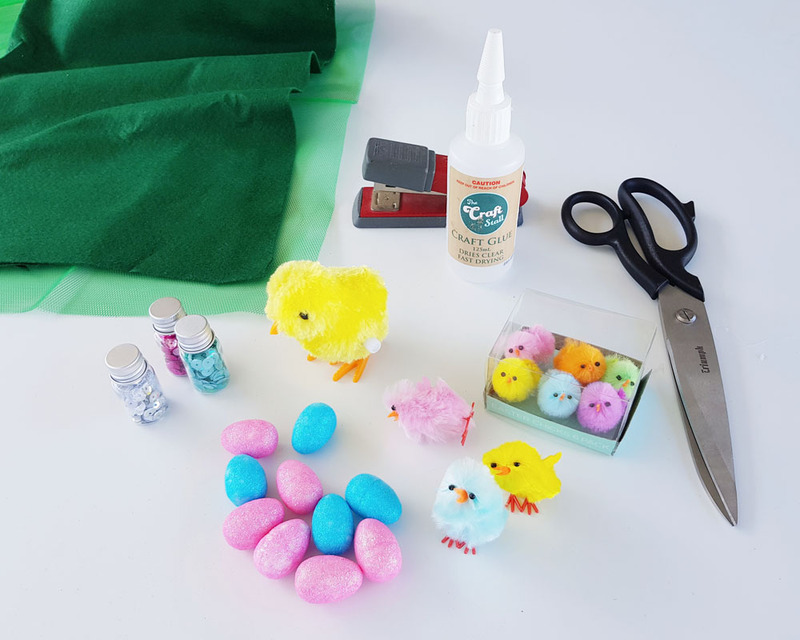 Glue in a large Chicken in the centre, I found a wind up one. 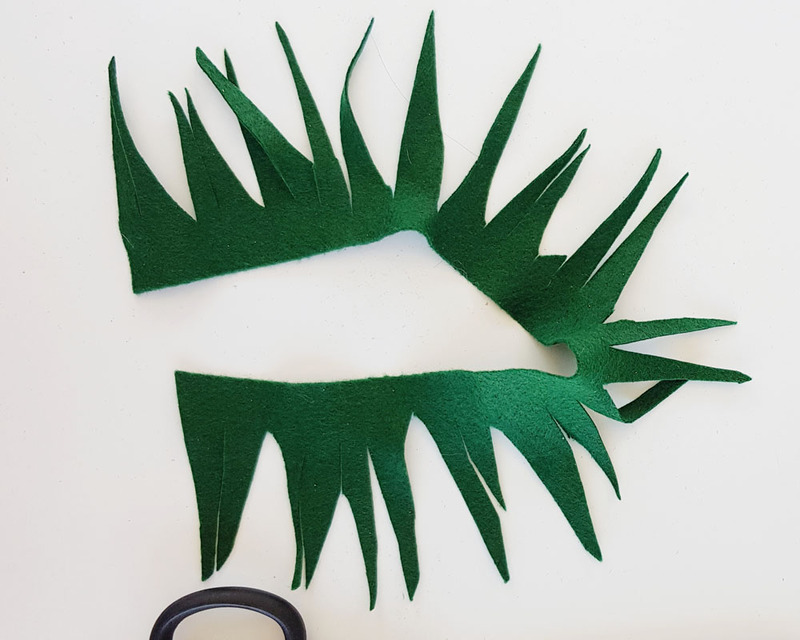 With 2 strands of grass felt pieces, fold over the feet and glue, this will secure the chicken to the base more and stop it moving. 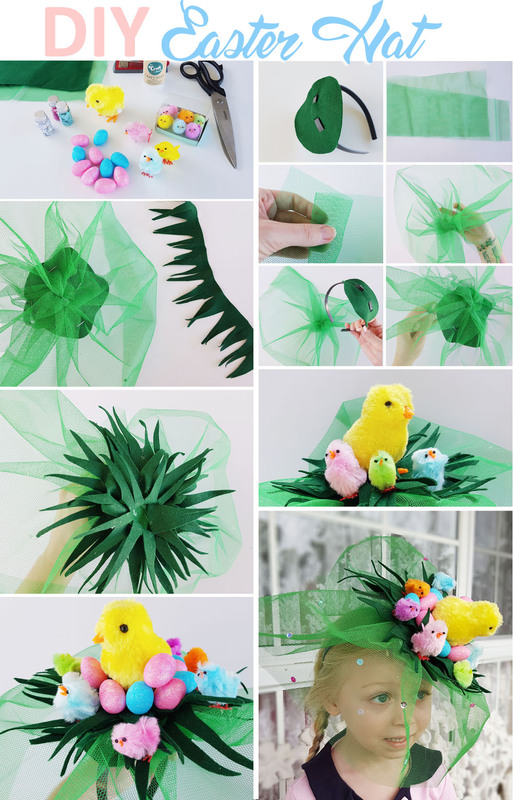 I hope you enjoyed this tutorial, if you have any questions, please feel free to ask me in the comments below.